Carbohydrates often get a bad rap in our culture. They're blamed for everything from obesity to diabetes to heart disease. But carbohydrates come in many different forms, some of which have excellent nutritional value, and some of which have little to no nutritional value. It's important to understand the difference if you wish to construct a diet that puts optimal health as its primary goal. Let's take a closer look at what this means and see how carbohydrates fit into a healthy human diet. 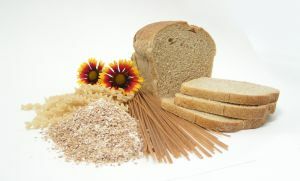 Carbohydrates come in two main forms—simple carbohydrates and complex carbohydrates. Both play a unique role in providing the body energy, but accomplish this at different rates of digestion and absorption due to their chemical makeup. Simple carbohydrates are broken down quickly by the body compared to complex carbohydrates, and are turned into glucose (blood sugar) which is used for energy. Simple sugars are also simple carbohydrates but lack vitamins, minerals, and fiber. Consuming too many simple sugars can lead to health problems and should be avoided. Molasses is a by-product of sugar refining and is added to table sugar to make brown sugar. Powdered sugar is table sugar that has been pulverized. Neither of these types of sugars have any nutritional value either, and should be avoided, or rarely consumed, as part of a healthy diet. A much healthier choice of simple carbohydrates are those contained within whole foods, such as fruits and vegetables. These foods contain an abundance of vitamins, minerals, antioxidants, and fiber that promote healthy living, and can still satisfy your natural craving for sweetness. Complex carbohydrates are also very nutrient dense with ample amounts of vitamins, minerals, antioxidants, fiber, and protein for the body. These are the carbohydrates to fill up on as part of a healthy, whole foods, plant-based diet. "Good" carbohydrates are carbs that are nutrient dense such as fruits, vegetables, beans, lentils, peas, and whole grains. "Bad" carbohydrates are refined sugars that are often added to processed and packaged foods, as well as baked goods and sugary drinks. These different forms of carbs have very different results on our health. Both total and LDL cholesterol levels dropped by 4.3% and 4.9% respectively in individuals consuming a diet containing whole wheat food products (good carbs) compared to individuals consuming a diet containing refined wheat food products (bad carbs).8 These favorable effects on cholesterol levels occurred in a three week time period. 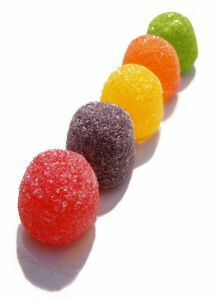 Avoid any added or refined sugars if at all possible. Read the ingredients list. If sugar or other refined sugar products (high fructose corn syrup, brown rice syrup, evaporated cane juice, etc.) is in the first 3-5 ingredients listed then don't buy the product. When buying carbohydrate products make sure the ingredients list uses the verbiage below. These are all healthy whole grain products. Try and buy items with at least 3 grams of fiber per 100-calorie serving size. 1) Consume fresh fruit instead of processed sweets and baked goods. 2) Stay away from sugary drinks such as soda pop, sports drinks, and energy drinks. These products are water with refined sugars added to them. They serve no nutritional purpose as part of a healthy diet. Drink water or tea instead. 3) Avoid diet soft drinks. These products contain artificial sweeteners instead of sugar and have no nutritional value. They do not promote health. If anything, they may increase the risk of developing obesity and diabetes.14,15 Drink water or tea instead. 4) If you absolutely can't completely give up your craving for chocolate cake, or other guilty pleasure, then go ahead and have a small piece. Just make sure this happens only on a rare occasion—birthdays, weddings, graduations, etc. 5) Don't buy carbohydrate products with the word "bleached" or "enriched" in the ingredient list. This is not a whole grain product and does not promote health. 6) Snack on veggies such as baby carrots, cherry tomatoes, or celery sticks. You can also grab a handful of no-salt-added peanuts, cashews, or walnuts to snack on when you're in a pinch. 7) Opt for a bowl of oatmeal in the morning instead of refined cereal products. Most cereals tend to be high in sugar and sodium which should be avoided. Refer back to Jeff Novick's tips above to ensure you are buying whole grain cereal products. 8) Stevia is a natural sweetener substitute that can be used in place of sugar. However, there isn't a lot of data out there yet to determine if it's truly a healthy alternative or not. If you decide to use this, then understand it may have unknown risks which haven't been discovered yet. 1 Joint WHO/FAO Expert Consultation on Diet, Nutrition and the Prevention of Chronic Diseases (2002 : Geneva, Switzerland). Available: http://whqlibdoc.who.int/trs/WHO_TRS_916.pdf. 2 Blaak EE, Antoine J-M, Benton D, et al. Impact of postprandial glycaemia on health and prevention of disease. Obesity Reviews. 2012;13(10):923-984. 3 Hellerstein, M.K., Christiansen, M., Kaempfer, S. et al (1991). Measurement of de novo hepatic lipogenesis in humans using stable isotopes. J. Clin. Invest. 87: 1841-1852. 4 World Health Organisation (1998) Obesity - preventing and managing the global epidemic. Report of the WHO consultation on obesity. Geneva, June 97. 5 Chen L, Caballero B, Mitchell DC, et al. Reducing consumption of sugar-sweetened beverages is associated with reduced blood pressure: a prospective study among United States adults. Circulation. 2010 Jun 8;121(22):2398-406. 6 Harnden KE, Frayn KN, Hodson L. Dietary Approaches to Stop Hypertension (DASH) diet: applicability and acceptability to a UK population. J Hum Nutr Diet. 2010 Feb;23(1):3-10. 7 De Natale C, Annuzzi G, Bozzetto L, et al. Effects of a plant-based high-carbohydrate/high-fiber diet versus high-monounsaturated fat/low-carbohydrate diet on postprandial lipids in type 2 diabetic patients. Diabetes Care. 2009 Dec;32(12):2168-73. 8 Giacco R, Clemente G, Cipriano D, et al. Effects of the regular consumption of wholemeal wheat foods on cardiovascular risk factors in healthy people. Nutr Metab Cardiovasc Dis. 2010 Mar;20(3):186-94. 9 Ventura E, Davis J, Byrd-Williams C, et al. Reduction in risk factors for type 2 diabetes mellitus in response to a low-sugar, high-fiber dietary intervention in overweight Latino adolescents. Arch Pediatr Adolesc Med. 2009 Apr;163(4):320-7. 10 Wu A, Yu M, Mack T. Smoking, alcohol use, dietary factors and risk of small intestinal adenocarcinoma. Int. J. Cancer, 7, 512517(1997). 11 Slattery M, Benson J, Berry T, et al. Dietary sugar and colon cancer. Cancer Epidemiol. Biomarkers Prev., 6, 677685 (1997). 12 Bueno De Mequita H, Moerman C, Runia S, et al. Are energy and energy-providing nutrients related to exocrine carcinoma of the pancreas? Int. J. Cancer, 46, 435444 (1990). 13 La Vecchia C, Bosetti C, Negri E, Franceschi S. Refined sugar intake and the risk of gastric cancer. Int J Cancer. 1998 Sep 25;78(1):130-1. 14 Swithers SE, Davidson TL. A role for sweet taste: Calorie predictive relations in energy regulation by rats. Behav Neurosci. 2008 Feb;122(1):161-73. 15 ENDO 2009: The Annual Meeting of the Endocrine Society: Abstract P2-478. Presented June 11, 2009.